"Right at the point where everyone stopped believing that the label owners themselves would do a release on Baalsaal, it comes flying right around the corner! 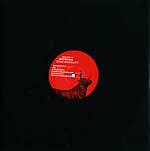 Finally, at catalogue number 009 Chopstick & Johnjon decided to put their best horse into the race and team up with no other than Fritz Kalkbrenner -- the voice behind the early summer anthem 'Sky and Sand' with his brother Paul Kalkbrenner. The beat of the original mix bounces from the first minute on, supporting the chords and the bassline while they work their changes. At the point when Fritz starts the first verse you get this feeling that 'this is gonna be special' and indeed it will be. The catchy chorus and the beauty of everything surrounding it makes you wanna sing along, dance and dream away the night and we didn't get to the break and the strings yet -- yes, there will be strings. So get ready and breathe in 11 minutes of deep feelings and emotions! On B1 is a remix by Marek Hemmann, who had great impact with his productions and remixes on labels such as Freude am Tanzen, Raum Musik and Resopal. You can see how much fun he had working with these vocals! By chopping them up and rebuilding everything with plain piano chords and a rather unique melody line, he converts the emotional original to a dancefloor killer! Till von Sein was our first choice when we thought about a fluffy summer-remix and, as you can hear on B2, he delivered. Spacey vocals, beautiful sounds and the music takes this release into a totally different vibe and direction: Smiling faces on a Sunday afternoon dancing in the sun at an afterhour location or on your own balcony. 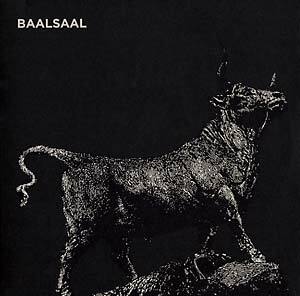 The baal009a has it all -- the 11 minutes journey with the full vocals on it, the bouncy maintime killer and the summer tune."